A new scale for parents to rate the severity of obsessive compulsive symptoms and 11 associated neuropsychiatric symptoms (i.e., anxiety, moodiness, sleep disturbance) is in the development phase and available for use. 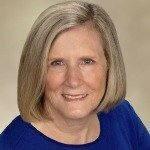 The current scale is based on the clinical experience of doctors Susan Swedo, Miroslav Kovacevic, Beth Latimer, and James Leckman, with the help of parents Diana Pohlman, Keith Moore, and others. Instructions to complete and score the scale are included throughout the document. ACN appreciates that Dr. James Leckman, Professor of Child Psychiatry, Psychiatry, Psychology and Pediatrics at Yale, has given us permission to share the scale here. We hope it will be helpful to parents. Click here to view and print the scale. Shiela -- a million thank yous for this timely post and a million more to Dr. Leckman as well. I have been working to arrange my thoughts for ds's IEP next week. He is doing very well in light of our extreme school troubles of the last year especially and previous troubles. We are extremely fortunate to finally have a wonderful staff who just completed a very accurate eval -- i couldn't have asked for more. However, i have been thinking of just how I impart the importance of noticing and immediately notifying me of issues that could be PANDAS behaviors beginning an exacerbation. It's stunning how this absolutely perfect scale came along at just the exact moment for us. THANK YOU. This is great. Thank you! I know somewhere I've also seen the rating scale for doctors to use, but I can't find it right now. Do you know where it is and could you also put it on this website, with a link in this thread? Another thanks from me, Sheila! 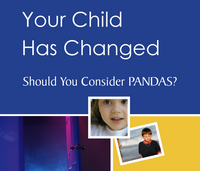 It's always terrific to see more information regarding PANDAS/PANS put out by reputable and well-recognized sources that sometimes carry more weight in our respective medical communities than our own parental observations and impressions. But this scale will also be tremendously helpful to us! Could you please copy this to the helpful topics thread above. I may want to find this at a later date and that would make it easier to locate. This is some great info. Thanks. Thank you. We used it as part of our doctor's appointment this morning and he was grateful to have her symptoms and their severity in such an organized fashion. I am now using it daily to record her symptoms as they wane. Did you have a good apt. this morning? Did the doctor start you on some kind of treatment plan? Hope it went well for you. This is great! Can we share this more broadly? I'm thinking school nurses and school psychologists - we have a statewide list I could share with. Interests:outdoors, hunting, fishing, camping, boating, cars, college, sport, learning, trying to take my life knowledge, to help others!! !